We’re having a “Garden Show” ! The next big thing at Kangei is our first Garden Show – we started planning a photo show and thanks to the support from members and friends of the club in the koi community we are making the show a garden style version which is basically where our Judge joins us for the benching. 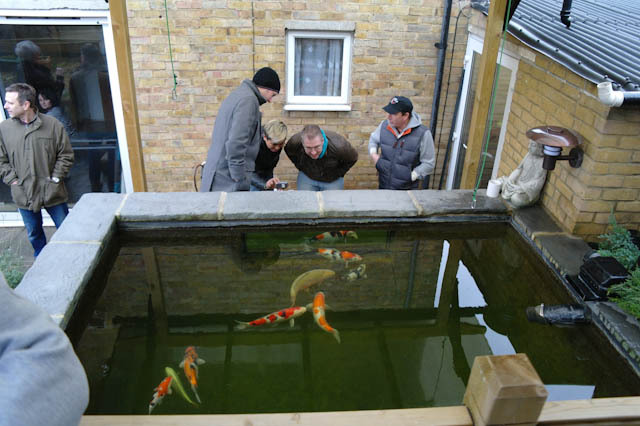 This means the Judge gets to see all the koi being entered and can make notes on each one during the benching – it facilitates a more comprehensive judging process compared to a pure photo show – where the judge just has the photo to go on and has never seen the koi being exhibited. I have been humbled by the broad support in the koi community our emerging club has been receiving, show by organisations and individuals giving us a helping hand. Thank you to Avenue Fisheries for being the show sponsor, and they are helping us to make the show something special. We are hosting a summer BBQ on the evening at the end of the first day’s benching and this is also where we will draw our summer raffle. Thanks to JKC for providing the raffle prizes. We have asked friends in the koi community to help support the event by donating trophies for the main prizes, and we have a few already donated from individuals and organisations including CKF and PKDA. The Garden Show is mostly about enjoying our koi and the friendships we have in the club, but there it is also a competition ofcourse. The results will be announced at our December meeting – yes December! The wait will be agonising, but worth it because we will announce results in parallel with Gary Pritchard’s slide show and presentation on the koi exhibited. The 2 and a half month gap also gives us a chance to run a Judge-it-for-yourself quiz. All Kangei members will be able to enter, and they will be shown photos of all the fish exhibited and all they have to do it pick the winning koi for the 5 overall champions, and the best in variety for each of the 13 varieties. The member who gets the most answers the same as the koi Gary judges to have won each award – wins our Judge-it-for-yourself competition! That gives all the members something to play for whether they are exhibiting or not. We will make more announcements and provide updates on the show after benching this weekend.